"Tribute to Sat Gurudeva Paramahansa Yogananda"
Of inner spirit, for which I grow. To see you standing here with me. Stephen Foster - "Beautiful Dreamer"
We entered a oneness of silence; words seemed the rankest superfluities. Eloquence flowed in soundless chant from heart of master to disciple. With an antenna of irrefragable insight I sensed that my guru knew God, and would lead me to Him. The obscuration of this life disappeared in a fragile dawn of prenatal memories. Dramatic time! Past, present, and future are its cycling scenes. This was not the first sun to find me at these holy feet! Later on Yukteswar informed Yogananda that he had been sent to him by Mahavatar Babaji for a special purpose. After passing his Intermediate Examination in Arts from the Scottish Church College, Calcutta, in June 1915, he graduated with a degree similar to a current day "Bachelor of Arts" or B.A. (which at the time was referred to as an A.B. ), from the Serampore College, a constituent college of the University of Calcutta. This allowed him to spend time at Yukteswar's ashram in Serampore. In 1915, he took formal vows into the monastic Swami Order and became 'Swami Yogananda Giri'. In 1917, Yogananda founded a school for boys in Dihika, West Bengal that combined modern educational techniques with yoga training and spiritual ideals. A year later, the school relocated to Ranchi. This school would later become the Yogoda Satsanga Society of India, the Indian branch of Yogananda's American organization the Self-Realization Fellowship. In 1920, Yogananda went to the United States aboard the ship City of Sparta, as India's delegate to an International Congress of Religious Liberals convening in Boston. That same year he founded the Self-Realization Fellowship (SRF) to disseminate worldwide his teachings on India's ancient practices and philosophy of Yoga and its tradition of meditation. For the next several years, he lectured and taught on the East coast and in 1924 embarked on a cross-continental speaking tour. Thousands came to his lectures. During this time he attracted a number of celebrity followers, including soprano Amelita Galli-Curci, tenor Vladimir Rosing and Clara Clemens Gabrilowitsch, the daughter of Mark Twain. The following year, he established an international center for Self-Realization Fellowship in Los Angeles,California, which became the spiritual and administrative heart of his growing work. Yogananda was the first Hindu teacher of yoga to spend a major portion of his life in America. He lived there from 1920—1952, interrupted by an extended trip abroad in 1935–1936 which was mainly to visit his guru in India though he undertook visits to other living western saints like Therese Neumann the Catholic Stigmatist of Konnesreuth and places of spiritual significance en route. In 1935, he returned to India to visit Yukteswar and to help establish his Yogoda Satsanga work in India. During this visit, as told in his autobiography, he met with Mahatma Gandhi, and initiated him into the liberating technique of Kriya Yoga as Gandhi expressed his interest to receive the Kriya Yoga of Lahiri Mahasaya; Anandamoyi Ma; renowned physicist Chandrasekhara Venkata Raman; and several disciples of Yukteswar's guru Lahiri Mahasaya. While in India, Yukteswar gave Yogananda the monastic title of Paramahansa. Paramahansa means "supreme swan" and is a title indicating the highest spiritual attainment. In 1936, while Yogananda was visiting Calcutta, Yukteswar died in the town of Puri. After returning to America, Yogananda continued to lecture, write, and establish churches in southern California. He took up residence at the SRF hermitage in Encinitas, California which was a surprise gift from his disciple Rajarsi Janakananda. It was while at this hermitage that Yogananda wrote his famous Autobiography of a Yogi and other writings. Also at this time he created an "enduring foundation for the spiritual and humanitarian work of Self‑Realization Fellowship/Yogoda Satsanga Society of India." The last four years of his life were spent primarily in seclusion with some of his inner circle of disciples at his desert ashram in Twenty-nine Palms, CA to finish his writings and to finish revising books, articles and lessons written previously over the years. During this period he gave few interviews and public lectures. He told his close disciples, "I can do much more now to reach others with my pen." In the days leading up to his death, he began hinting that it was time for him to leave the world. On 7 March 1952, he attended a dinner for the visiting Indian Ambassador to the US, Binay Ranjan Sen, and his wife at the Biltmore Hotel in Los Angeles. At the conclusion of the banquet, Yogananda spoke of India and America, their contributions to world peace and human progress, and their future cooperation, expressing his hope for a "United World" that would combine the best qualities of "efficient America" and "spiritual India." According to an eyewitness – Daya Mata, a direct disciple of Yogananda, who was head of the Self-Realization Fellowship from 1955–2010 — as Yogananda ended his speech, he read from his poem My India, concluding with the words "Where Ganges, woods, Himalayan caves, and men dream God—I am hallowed; my body touched that sod". "As he uttered these words, he lifted his eyes to the Kutastha center (the Ajna Chakra), and his body slumped to the floor." Followers say that he entered mahasamadhi. The official cause of death was heart failure. His funeral service, with hundreds attending, was held at the SRF headquarters atop Mt. Washington, in Los Angeles. Rajarsi Janakanada, the new president of Self-Realization Fellowship, "performed a sacred ritual releasing the body to God." Yogananda's remains are interred at the Forest Lawn Memorial Park in the Great Mausoleum (normally closed off to visitors but Yogananda's tomb is accessible) in Glendale, California. Paramahansa Yogananda giving a class in Washington, D.C. In 1917 Paramahansa Yogananda "began his life's work with the founding of a 'how-to-live' school for boys, where modern educational methods were combined with yoga training and instruction in spiritual ideals." In 1920 "he was invited to serve as India's delegate to an International Congress of Religious Liberals convening in Boston. His address to the Congress, on 'The Science of Religion,' was enthusiastically received." For the next several years he lectured and taught across the United States. His discourses taught of the "unity of 'the original teachings of Jesus Christ and the original Yoga taught by Bhagavan Krishna.'" In 1920 he founded the Self-Realization Fellowship and in 1925 established in Los Angeles, California, USA, the international headquarters for SRF. Yogananda wrote the Second Coming of Christ: The Resurrection of the Christ Within You and God Talks With Arjuna — The Bhagavad Gita' to reveal the complete harmony and basic oneness of original Christianity as taught by Jesus Christ and original Yoga as taught by Bhagavan Krishna; and to show that these principles of truth are the common scientific foundation of all true religions. In his published work, The Self-Realization Fellowship Lessons, Yogananda gives "his in-depth instruction in the practice of the highest yoga science of God-realization. That ancient science is embodied in the specific principles and meditation techniques of Kriya Yoga." Yogananda taught his students the need for direct experience of truth, as opposed to blind belief. He said that "The true basis of religion is not belief, but intuitive experience. Intuition is the soul's power of knowing God. To know what religion is really all about, one must know God." Echoing traditional Hindu teachings, he taught that the entire universe is God's cosmic motion picture, and that individuals are merely actors in the divine play who change roles through reincarnation. He taught that mankind's deep suffering is rooted in identifying too closely with one's current role, rather than with the movie's director, or God. Self-realization is the knowing – in body, mind, and soul – that we are one with the omnipresence of God; that we do not have to pray that it come to us, that we are not merely near it at all times, but that God's omnipresence is our omnipresence; and that we are just as much a part of Him now as we ever will be. All we have to do is improve our knowing. The "science" of Kriya Yoga is the foundation of Yogananda's teachings. Kriya Yoga is "union (yoga) with the Infinite through a certain action or rite (kriya). The Sanskrit root of kriya is kri, to do, to act and react." Kriya Yoga was passed down through Yogananda's guru lineage – Mahavatar Babaji taught Kriya Yoga to Lahiri Mahasaya, who taught it to his disciple, Yukteswar Giri, Yogananda's Guru. Yogananda wrote in Autobiography of a Yogi that the "actual technique should be learned from an authorized Kriyaban (Kriya Yogi) of Self-Realization Fellowship (Yogoda Satsanga Society of India.)" In 1946, Yogananda published his life story, Autobiography of a Yogi. It has since been translated into 34 languages. In 1999, it was designated one of the "100 Most Important Spiritual Books of the 20th Century" by a panel of spiritual authors convened by Philip Zaleski and HarperCollins publishers. Autobiography of a Yogi is the most popular of Yogananda's books. According to Philip Goldberg, who wrote American Veda, "...the Self-Realization Fellowship which represents Yogananda's Legacy, is justified in using the slogan, "The Book that Changed the Lives of Millions." It has sold more than four million copies and counting..." In 2006, the publisher, Self-Realization Fellowship, honored the 60th anniversary of Autobiography of a Yogi"with a series of projects designed to promote the legacy of the man thousands of disciples still refer to as 'master.'" Autobiography of a Yogi describes Yogananda's spiritual search for enlightenment, in addition to encounters with notable spiritual figures such as Therese Neumann, Anandamayi Ma, Mohandas Gandhi, Nobel laureate in literature Rabindranath Tagore, noted plant scientist Luther Burbank (the book is 'Dedicated to the Memory of Luther Burbank, An American Saint'), famous Indian scientist Sir Jagadish Chandra Bose and Nobel laureate in physicis Sir C. V. Raman. One notable chapter of this book is "The Law of Miracles", where he gives scientific explanations for seemingly miraculous feats. He writes: "the word 'impossible' is becoming less prominent in man's vocabulary." The Autobiography has been an inspiration for many people including Steve Jobs (1955–2011), co-founder, former chairman, and chief executive officer of Apple Inc. In the book Steve Jobs: A Biography the author writes that in preparation for a trip, Mr. Jobs downloaded onto his iPad2, the Autobiography of a Yogi, "the guide to meditation and spirituality that he had first read as a teenager, then re-read in India and had read once a year ever since." Rowe continues, "on March 27th there was no reason to say that his body had suffered any visible physical disintegration at all. For these reasons we state again that the case of Paramahansa Yogananda is unique in our experience." Robert Todd Carroll in his book The Skeptic's Dictionary wrote that the director of Forest Lawn may have given an accurate statement, but calling this lack of physical disintegration "an extraordinary phenomenon" is misleading; a typical embalmed body will show no notable desiccation for one to five months, without the use of refrigeration or creams. SRF/YSS is headquartered in Los Angeles and has grown to include more than 500 temples and centers around the world and has members in over 175 countries including the Self-Realization Fellowship Lake Shrine. In India and surrounding countries, Paramahansa Yogananda's teachings are disseminated by YSS which has more than 100 centers, retreats, and ashrams. Rajarsi Janakananda was chosen by Yogananda to become the President of SRF/YSS when he was gone. Daya Mata, a religious leader and a direct disciple of Yogananda who was personally chosen and trained by Yogananda, was head of Self-Realization Fellowship/Yogoda Satsanga Society of India from 1955–2010.According to Linda Johnsen, the new wave today is women, for major Indian gurus have passed on their spiritual mantle to women including Yogananda to the American born Daya Mata and then to Mrinalini Mata. Mrinalini Mata, a direct disciple of Yogananda, is the president and spiritual head of Self-Realization Fellowship/Yogoda Satsanga Society of India as of 2014. She too was personally chosen and trained by Yogananda to help guide the dissemination of his teachings after his death. She is assisted by the SRF Board of Directors, which includes other direct disciples of Yogananda trained by him. The members of this list were drawn from Yogananda's book Journey to Self-Realization, unless otherwise noted, and the date and location of first discipleship to Yogananda are given. · Minot & Mildred Lewis, 1920, Boston. Minott W. Lewis, a Boston dentist, and his wife Mildred, met Paramahansaji a short time after Yogananda’s arrival in America in 1920 and became lifelong disciples. Minot served for many years as the vice-president of and a minister of Self-Realization Fellowship, Yogananda's worldwide mission. SRF published a biography about Minot Lewis, Dr. M.W. Lewis: The Life Story of One of the Earliest American Disciples. In 1991 Brenda Rosser wrote a book about his & Mildred’s life with Yogananda calledTreasures Against Time. There are many recorded lectures freely available on Yyoga.org. · Yogamata, 1920, Boston. Yogamata, born as Alice Haysey, took her final, lifelong vow of renunciation in the Self-Realization Fellowship Order from Yogananda. · Mildred (Mother) Hamilton, 1925, Seattle. Hamilton was made the center leader for Self-Realization Fellowship in Seattle, WA, and ordained a minister in 1950 by Yogananda. He gave her the title Yogacharya in 1951 – one of six worldwide. After Yogananda went into Mahasamadhi (Yogi's final exit from the body), she continued as center leader until 1958 when she was dismissed from her role as a center leader in SRF. [third-party source needed] After that she continued on her own and held meetings in her disciples' homes and centers in the Northwest and Canada. She was a lifelong disciple of Yogananda's and never formed her own organization. She also had great reverence for Swami Ramdas who she says helped her gain complete Realization of God after Yogananda's Mahasamadhi. She died on 31 January 1991. · Kamala Silva, 1925, Los Angeles. Kamala met Yogananda in 1925 and assisted with the work of disseminating his teachings. In 1935, Yogananda ordained Kamala, making her the first lay female Self-Realization Fellowship minister, and she continued to serve SRF as a lay minister until her retirement in 1974. Kamala established the first official Northern California Center of SRF and served as its minister. Kamala, along with the Bay Area SRF students, saved contributions for this purpose and searched for 25 years for a final home which became the recently closed SRF Richmond temple. This temple has been moved to Berkeley, CA. She wrote two books about her life with Yogananda called The Flawless Mirror and Priceless Precepts. There are 12 free recordings of her talks on topics related to her guru's teachings. · Premananda, 1928. In 1941 Premananda was given the title of Swami by Yogananda. 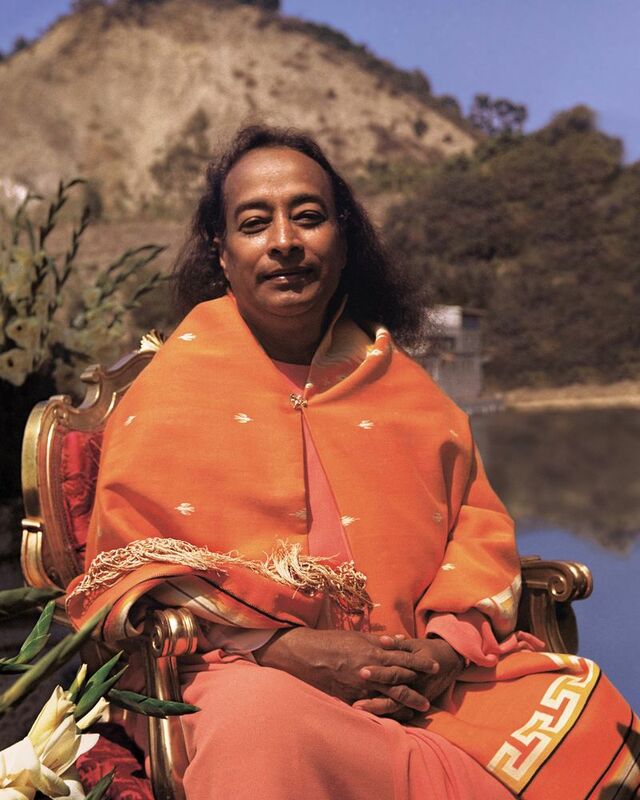 After Yogananda was gone, he left SRF/YSS and started Self-Revelation Church of Monism in Bethseda, Maryland, based on the teachings of Paramahansa Yogananda with a focus on Kriya Yoga meditation. · Durga Mata, 1929, Detroit. Durga Mata was born as Florina Dufour. Durga Mata took a final, lifelong vow of renunciation in the Self-Realization Fellowship Order, devoting her life fully to Yogananda and his SRF worldwide mission. When she took her monastic vows from Yogananda, she was given the name Durga Ma which is a name for God in the aspect of Divine Mother. She wrote the book Paramhansa Yogananda: A Trilogy of Divine Love. SRF has published a book with 2 CD's called Chanting for Deep Meditation with Sri Durga Mata which presents archival recordings of the Cosmic Chants that are reminiscent of Yogananda's life and teachings. · Ananda Mata, 1931, Salt Lake City. She took her final, lifelong vow of renunciation from Yogananda in the Self-Realization Fellowship Order and was given the name Mataji. She devoted her life fully to Yogananda and his SRF worldwide mission. · Daya Mata, 1931, Salt Lake City. Daya Mata (Mother of Compassion) was one of the foremost disciples of Paramahansa Yogananda. 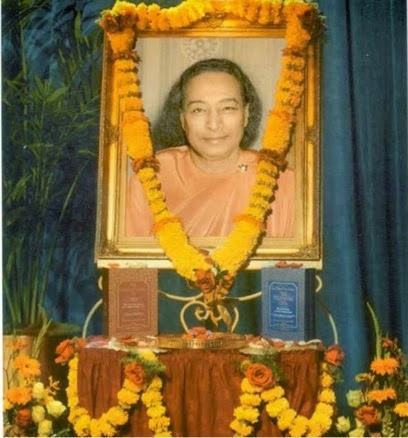 She took a final, lifelong vow of renunciation in the Self-Realization Fellowship Order from Yogananda and was given the name Daya.For more than seventy-five years, she dedicated her heart and soul to loving God and serving the worldwide work of Self-Realization Fellowship/Yogoda Satsanga Society of India. She was the spiritual head and president from 1955 until her death in 2010. She wrote four books and there have been ten DVD's and fifteen CD's recorded. · Oliver Black, 1932, Detroit. J. Oliver Black was given the title Yogacharya (Yoga Teacher) by Yogananda and started the SRF Detroit, MI center and when encouraged to 'ad lib' the Sunday Services, instead he would read Yogananda's lecture saying that he couldn't improve on Yogananda teachings. He was one of very few non-monastic ministers qualified by SRF to conduct SRF Kriya Yoga Initiation Ceremonies. In 1970 Black founded Song of the Morning Ranch, a spiritual retreat, and Clear Light Community to carry out Yogananda's wishes. He served Yogananda and his organization Self-Realization Fellowship until his death. There are five recorded talks by Oliver Black. · Sradha Mata, 1933, Tacoma, WA. When she took a final, lifelong vow of renunciation in the Self-Realization Fellowship Order from Yogananda, she was given the name Sradha which means receptivity to the Divine Will. · Sailasuta Mata, 1933, Santa Barbara. Sailasuta Mata took her final, lifelong vow of renunciation with Yogananda in the Self-Realization Fellowship Order and devoted her life fully to the SRF worldwide mission begun by Paramahansa Yogananda. · Mrinalini Mata, 1945. Since January 7, 2011, she has been the current president, spiritual leader of SRF/YSS, Yogananda's worldwide work. Mrinalini Mata took her final, lifelong vow of renunciation in the Self-Realization Fellowship Order from Yogananda. Since 1966 she held the position of Vice-President of SRF/YSS. Mrinalini Mata is one of the close disciples of Yogananda personally chosen and trained by him to help guide his society after his death. She has dedicated more than 60 years to serving the Guru's work. She oversees the spiritual and humanitarian activities of SRF/YSS, including the worldwide dissemination of Paramahansa Yogananda's teachings, the establishment and guidance of temples, centers, and retreats, and the spiritual direction of the SRF/YSS monastic communities. She also serves as editor-in-chief of SRF books, lessons and periodicals. She is featured in 4 DVDs, 6 CDs and wrote 1 book and 1 booklet. · Mukti Mata, 1945. Mukti Mata took the final, lifelong vow of renunciation in the Self-Realization Fellowship Order, devoting her life fully to the SRF worldwide mission begun by Paramahansa Yogananda. There is a CD of her talk Like the Light from Heaven: Remembering Life With Paramahansa Yogananda published by SRF. · Bimalananda, 1947. Bimalananda took a final, lifelong vow of renunciation in the Self-Realization Fellowship Order, devoting his life fully to the SRF worldwide mission begun by Paramahansa Yogananda. · J. Donald Walters, 1948, Los Angeles. Walters was given final vows of sannyas/name Kriyananda in 1955 by Daya Mata. In 1960 the SRF Board of Directors elected Walters as Vice-President. In 1962, the SRF Board unanimously requested his resignation. In 1968 Walters started his Ananda Cooperative Community (8 communities by 2013) – based on Yogananda's idea of World Brotherhood Colonies – and then his corporation, The Yoga Fellowship, west of Nevada City, CA. From 1990 – 2002 SRF engaged in litigation in federal court with Kriyananda regarding copyrights to the writings, photographs, and sound recordings of Yogananda's. In 1997 Anne-Marie Bertolucci engaged in litigation with Kriyananda regarding sexual harassment and fraudulently using his title of swami, implying he was celibate while engaging in sexual activity with young women. Kriyananda authored over 100 books, 400 pieces of music and created his own teaching based on Yogananda's teachings. · Anandamoy, 1949. Anandamoy took a final, lifelong vow of renunciation in the Self-Realization Fellowship Order, devoting his life fully to the SRF worldwide mission begun by Paramahansa Yogananda. Anandamoy has served Yogananda's work for 64 years. There are many recordings of his talks regarding Yogananda teachings. There are eight DVD's and six CD's available. "Heavenly Father, Divine Mother, Friend, Beloved God, Lord Jesus Christ, Baghavan Krishna, Guru-Preceptors, Saints of all Religions, I humbly bow to you all...."
Aum, Shanti, Peace, Amen, Amin. Inspirational Thought for Today from the"Spiritual Diary published by Self-Realization Fellowship (SRF/YSSI's Website, Kolkata Time) "
To begin "Poems and UnPoems", please click 01. "Dancing with Colors". Posts are listed in order. Upon awakening in Cedars-Sinai Medical Center's recovery room on February 18, 2010, the very dear Dr. Sutha Sachar, M.D. informed me that I had cancer and that the Surgeon had to operate immediately. Intermittently, between and after three subsequent surgeries, she reminded me often of how very lucky I was, and how I should "count my blessings", because many other patients of hers, with much smaller tumors, "had not made it". I am very deeply grateful for all the efforts made to save my life, and the opportunity to reach ever deepening levels of surrender to Divine Mother, that I might not have otherwise experienced had I not spent the next year and a half following the doctors' protocols. I am most appreciative to the late Sri Sri Daya Mataji, President and Sanghamata of Self-Realization Fellowship/Yogoda Satsanga Society of India, for her daily prayers, blessings, and for an affirmation that she had given me several years earlier, that I inwardly took with me into that first surgical room, and which I repeated frequently during this rather long ordeal: "Beloved Divine Mother, my life is in your hands. Strengthen and sustain me according to Thy will". On Tuesday, July 12, 2011, after receiving the results from more medical tests and another surgical procedure, the Oncologist told me that I was "disease free", and that I would only have to come in to see him every three months for blood tests and yearly for PET/CT scans. This was such great news! On the way home from all the doctor appointments that day, I introspected, "Why did God save my life now, in this last stage of my life - once again? I was inwardly prepared to leave. I had surrendered my mortal form to Divine Mother." Yet, she had graced me with another extension. God spared my life twice before, when I was much younger, so it was more understandable, and just following my second back surgery, when I was graced with an extraordinarily peaceful "near death experience". Now I wondered, "Why did Divine Mother want me to continue in this disabled body at the conclusion of my life, when, I thought, I should be preparing naturally to leave the body"? Of course, I realize that it would offer an opportunity to deepen my spiritual practice and sadhana. But, I also remembered that many years ago I had shared some of my spiritual poems with a Brother of the Self-Realization Fellowship Order. I could hear his strong voice resounding in my memory with great authority, "Your poems should be published"! 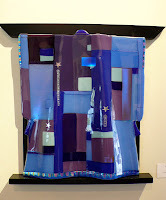 I did not pursue publication, however, as I never really felt comfortable promoting my own personal art work or music. It was always an intimate personal divine offering, an outpouring of my heart, or an inspiration from an inner state of worship. So, when returning home after these doctors' visits, I thought to myself, "All these years I have been helping others to create websites for their work, and perhaps now is the time that I should be creating a website for the work I have already created, and some that I am still envisioning". It then occurred to me after finding out that this tenacious battle with cancer had been won for the time-being, that perhaps now would be a good time to make my poems available, since I have been graced with some extra time in this incarnation. Having been a trained musician, I have included in the site selections that I have found personally inspiring - some throughout my lifetime. Some of the music compositions I personally have studied and played. Some of the works are precious to me because my teachers have performed them. Therefore, I have included in the site an extensive section under World Music Education which highlights many prominent and eminent master musicians from many cultures with whom I had the privilege of studying with personally or with whom my teachers have studied. Some performance are special because I attended their premieres. Some are simply works that I found so exquisitely beautiful that I wanted to share them. Some are performances by master artists who were personal friends of my beloved Master, Paramahansa Yogananda. Some selections are just so exquisitely beautiful that I simply wanted to share them. I do hope the reader will enjoy the Personal Inspirations and Precious Gems, as well as the wonderful Gamelan sections presented here. Perhaps one day I will be able to include some of my own renditions of the "Cosmic Chants" by Paramahansa Yogananda, which I have been playing since a child, mostly on harmonium. Since about 2009, I have been playing them on my mother's piano, as my dear sister made it possible for me to once again have the piano. It might be nice, perhaps in the future, to convert some of my Master's degree thesis, "Glass Lights, Reflections and Refractions" work from 16 mm film to digital media, and edit it for inclusion on this site. That work was inspired by St. Teresa of Avila's great masterpiece, "Interior Castle", which very much influenced me in my early years. Many of the music videos are presented under Youtube, personally offered by the performer or obtained by clicking the share button, which I assume is public domain. In the future, I hope to include more inspiring short excerpts from other musicians and visual artists which are personally meaningful to me, and work from my sister, teachers, friends, and others that I admire, to compliment this poetical offering. At the end of the site I have included links to other sites that I find inspirational and I hope helpful. Thank you for visiting. I hope you will enjoy the upcoming new entries, as the site is being modified frequently. I cannot tell you how much inspiration the following letter by Paramahansa Yogananda gave me. My forbearance, courage, and inner strength is always increased every time I go into the Self-Realization Fellowship Mother Center Library (in which it is displayed) to read it. In fact, this became my pilgrimage spot during the months and months of chemotherapy and radiation. When I first started the chemotherapy I just could not mentally take in the length of time they said I needed - it just put me in "overload". . . But I learned to repeat Master's words from the letter, "Soon it will be over. It will be behind you." It just gave me the strength to just take one day at a time and you know soon it was over and soon it was behind me. As time went on certain phrases became more poignant, depending on the circumstances. "Love God more than ever" --- "With kindness to all" or "Boundless Blessings", or just merely, "One in Him" — each phrase became so very precious to my inner being and state of mind that I decided to share it. Please do not be discouraged. child He beats or tests most. to wholly love Him & work for Him. Not by our words but by our deeds. I should like to express my sincere appreciation to Sri Daya Mata, the late president of Self-Realization Fellowship who provided personal spiritual support, insight, guidance, and blessings for much of my life and during my Sadhana, even until her passing on November 30, 2010. It was Sri Daya Mataji who initiated my grandmother, Rosilla Tolles Harris into the path of Kriya Yoga (and I remember so clearly the drive up Mt. Washington Drive that my father made with the whole family in the car to take her for her Kriya Initiation, when I was only a young girl). It was Sri Daya Mataji who led me to our Divine Gurudeva, Paramahansa Yogananda, his sacred teachings, the God-illumined Avatars: Lord Jesus Christ and Bhagavan Sri Krishna, and his enlightened Gurudevas: Mahavatar Babaji, Lahiri Mahasaya, and Swami Sri Yukteswar whose blessings are, indeed, unceasing. Pronams and gratitude to Sri Mrinalini Mataji, Sri Daya Mataji's successor, and Sri Uma Mataji for their continued prayers and blessings, and to their dear secretaries for sharing with me uplifting insights, thoughts of light and love, and encouragement, especially during my recent hospitalizations and nursing home experiences. I shall always appreciate the support of the many other Nuns and Monks of the SRF Order, whose prayers, guidance, inspirations, and divine friendship have touched my heart and soul for so many years. Special thanks go to my dear cousin, Sr. Roberta Ann Rosso, CSJ, who although undergoing her own serious health difficulties found time to call me regularly and always kept me in her prayers, as did all my family. Deep gratitude especially goes to my sister, Susie Rosso Wolf a multi-talented artist, creator of Phoetry, photographer, author of "Wherever The Wind Will Blow It" and "New Prairie Woman" for her love, prayers, support, and encouragement in creating this website. She is such an inspiration fighting her own battles with severe health challenges, and her daily calls during my hospitalizations, in spite of her own difficulties, were so much appreciated. I also value the prayers and good wishes of her husband Sound Engineer Kurt Wolf, and his family. Love and devotion goes to my late elder brother and musician/artist Michael James Rosso and his late wife Anita, their son musician Michael Charles Rosso, and his sweet daughter soon-to-be-nurse Melissa Carpenter. Love and gratitude goes to my dear brother, Daniel King Rosso, his soul-mate Judi, her family, Daniel's son Robert Joseph Rosso, his mother Brenda and wife April, his children, Amy and Nick Johnson and their family, as well as my dear cousins Tamara Deems (a wonderful performing artist in her own right), her sons, and Frank Rosso, Sherry, and their family for their loving prayers and support. I so much appreciated my sister Susie's friends, Margo and Reverend Morehouse, for visiting me in the hospital and the calls prayers, and good wishes of Susie's friends still here in California. I should like to thank all the physicians who God sent to save my life at Cedar-Sinai Medical Center including: my dear Primary Treating Physician Dr. David S. Silver (who has treated me for several years, who never gave up trying to get the diagnostic tests approved by Work Comp, and who continues to be a shining light in my life); Dr. Glenn A. Marshak who made the actual referral appointment to noble Dr. Sutha Sachar for me and oversaw my subsequent life-saving hospital care all through 2010 - thank you so much, Dr. Marshak. Dr. Sutha Sachar was my "Lady in Shining Armour". She "would not allow my medical care to be compromised by Work Comp", and appealed their denial of cancer detecting tests, which saved my life. I shall never forget her expert help, many kindnesses and support. Special thanks goes to senior Surgeon Brendan Carroll, who performed 4 surgeries and was so generous to accept Medicare as payment in full, should Work Comp decide not to pay for his services. Dedicated Oncologist Dr. Noam Drazin and his excellent nursing staff were the liaisons with the Samuel Oschin Comprehensive Cancer Center and supervised the various cancer protocols with such kindness and expertise, and he continues to watch over me with such concern. Very kind Dr. Amin Moradhi and his excellent radiation staff were so wonderful. Much appreciation goes to brilliant Dr. Ilana Cass, the wonderful nurses at the Samuel Oschin Comprehensive Cancer Center and all the caring and excellent doctors, nurses, nursing assistants, technicians, and staff at Cedars-Sinai Medical Center, Imaging Center, 7th and 8th floors and administrative offices. Cedars Sinai Social Worker, Varley Smith, was so very supportive, and provided resource referrals, including a referral to the American Cancer Society that resulted in them providing me with a modest gas card, which helped to contribute to transportation costs for daily treatments at the Infusion Center. Everyone at Cedars Sinai Medical Center was so kind - I am overwhelmed to have been the recipient of such unselfishness and care. On my "Thank You" note to the Supervisor of Nurses, I wrote, "I feel as though God took a little piece of Heaven and placed it in Cedars Sinai Medical Center, surrounding me with loving, caring Angels". I very much appreciated the continued service of LivHome Home Health Services, particularly my nurse case manager, Janice Hyneck, R.N., and my three wonderful caregivers, Narine Zalynian, Guadalupe Arragon, and most recently, Sylvia Carrillo Macker. Of special mention should be Drew Hall, D.C., the Blair Upper Cervical Chiropractor who is so dedicated that he has continued treating me even though Work Comp stopped paying him a few years ago because he knows how much this care helps me, and my Ayurvedic practitioners, Dr. Parla Jayagopal and Susan Baake, R.N., who provided wonderful Ayurvedic guidance, especially during my cancer protocols. (I was one of the very few patients who didn't lose all of my hair during the chemotherapy because of their suggestions.) Also, I very much appreciate the Kangen water delivered during my chemotherapy and continued to the present day by kind and talented Ginger de Paris and her husband Mark Warnoc. All provided loving care - without charge - out of the goodness of their hearts, and I am very grateful to them. Santa Monica Health Care Center provided special post-surgical care twice, which included a wonderful nursing staff, a very caring activity programs director, excellent physical therapists, wound care, and a really special dietitian who provided me with excellent vegetarian meals. How kind was Administrator Jordanne Shelton to waive my first visit's extra day so my Liv-Home Caregiver could come to take me home on her normal work day. Gratitude to nurses Zeny and Ilena of Highland Home Health who went beyond the call of duty and were so generous with their time and skill. Special appreciation and acknowledgement goes to dear devotee-friends Viney & Dr. Kusum Sahgal of Noida, India, their sweet relatives Geeta and Ananda Gupta (who helped finance the restoration of my car to driving condition in time to start the months of daily treatments of radiation and chemotherapy), and Nancy Sanford of San Fernando Valley - all who made contributions for my continued medical care this year, and without whose generous gift of this iMac computer (and funds for the needed additional software and hardware) during August of 2010, this site would not be possible. Much gratitude to Karan Clarke for her generosity and her nephew, computer wizard Michael (Mick) Neal, for their support in getting the data off my 1998 crashed PC so that my poems and other documents could be retrieved from that computer and loaded onto this new iMac successfully from the "Cloud". Without access to those files, I wouldn't have been able to post my poems onto this web site. I would like to thank especially Probhat and Bella Hazra whose brotherly and sisterly friendship, especially during my first chemotherapy weekends were so much appreciated. Mejda accompanied me to my first two sets long day sessions and I was so grateful to have someone with me. Dear Didi often provided me with encouragement and nutritious home-cooked meals, especially when I was so ill, when they were in town. I shall never forget the special friendship shown me by SRF Glendale Caring Friends chaired by dear Karan Clarke and Liz Chanaske, Fran de Leon, Drs. Murray and Rosemary Frith (new friends who volunteered to help a stranger), Elizabeth and David Rubinstien, who with glass artist Julie and husband Sri Nagesh, and Susan Baake (all are cherished friends for many years), made it possible for me to get to Cedars-Sinai Medical Center almost on a daily basis for cancer protocols, tests, and surgeries for more than a year. Much gratitude goes to other devotees from the Pasadena and Glendale Temples who were so supportive, including dear friends Francie Issenman-Brown ( a long-time devotee friend whose helpful calls were much appreciated) and her husband Steve Brown (who sent good thoughts and prayers while patiently allowing her to chat with me on the cell phone during their long trips together), Maryann and Bobby Hart (whose hospital visits and encouragement were much appreciated), Desiree Morales (whose friendship has been most endearing and the visit to the Nursing Home was so thoughtful), Sonia Kumar (who still sends occasionally complimentary Ayurvedic herbs and keeps in touch with many uplifting emails, as well as notices of SRF special events), Linda Simpson (who was so kind to visit me during my hospitalizations at Cedars after my surgeries), Marianne Nikodem (who has remained a dear supportive friend for so many years), Donn Sunderland, Marianne and Raymundo Rios, and Dora Grynwald. Special acknowledgement goes to my dear neighbor, Ambika Chambers, and her wonderfully talented daughter, artist Laria Saunders, as well as my dear friends Marianne Stall and Lorraine Lawrence (who kept up with me throughout this long ordeal and kept in touch with my sister), and spiritual friends Aurora Nordhausen, Lauretta Daines, Ernestine Tierney, Gloria Tatum, Patrick Mathews, Jackson Mohler, Terry Charles Schermerhorn, and Pierre Debauldt for their prayers and loving support. I very much appreciate the continued good will and prayers of all the dear souls from the SRF Temples and Centers who have kept me in their meditations, including Dr. Dana Goodrich-Dean of San Diego (a dear devotee friend since the 1970's) and Lorita Whitehead of Canada. I was most touched when Khurshid Jassawala informed me that she had placed my name in Mahavatar Babaji's cave when she was recently there on pilgrimage. So kind of her to remember me to the Great Master. Thanks to all for keeping me in your loving thoughts and prayers. I'd like to also thank Cristina, William, and Jackson Baretta of Storyville Productions, who have sacrificed to create the documentary video, "The Power of Upper Cervical", out of compassion for those who suffer from upper cervical injuries. I'd like to express my gratitude to concert pianist and dear devotee friend, Paul Calistus Ashley for his beautiful contributions, including his rendition of the first movement of Beethoven's "Moonlight" Sonata, pianist Susan Svercek for her encouraging emails, and Elizabeth & pianist-composer David Rubenstein for their special endearing friendship, occasional wonderful meals, and help with driving me to the hospital, also. Great appreciation goes to David Joyce for the music video, "Nature Boy", dedicated to Paramahansa Yogananda. Finally, special thanks goes to Mala Ganguly, North Indian Vocalist, for her many years of inspired performances, personal instruction, friendship, and musical contributions to this site. All of these wonderful souls were sent by Divine Mother to help me, protect me, guide me, and bless me. Thank you, each one of you, for being such willing and kind instruments of the Divine. Without you all, I wouldn't be here, so this site is dedicated to each and every one of you kind friends, dear treasured souls who helped to make it possible for "Poems by a Devotee" to be created. Born in Santa Monica, CA, I took an A. Sci. in Computer Science from Glendale College, and a B.A. from Immaculate Heart College in Music Theory, minor in Psychology. There I took Piano Master classes with Carol Rosenberger and studied Music Theory with Dorrance Stalvey. Mills College gave me a Graduate Audio-Visual Assistantship/Scholarship, where I studied with David Behrman and Terry Riley, and earned a Master in Fine Arts degree in Electronic Music and Media. At CalArs I was an Ensemble Associate and specialized in the musics of Africa, Indonesia, and India. There I taught Music Theory and Beginning Piano, was a member of World Music Ensembles, studied privately N. Indian Vocal Singing with Amyia Dasgupta, Gamelan Music with KRT Wasitodiningrat, Njomen Wenton, and Omartopo, and private Composition with Leonard Stein and Alan Chaplin. I was a private Piano student of Eva Naiditch Cooper (Young Musicians Foundation Judge, International Women's Piano Competition Winner, and Pianist Laureate of France). From 1993-2010 I studied N. Indian Vocal Music with Mala Ganguly. In 2013 I began to play occasional keyboard for SRF's Glendale Temple. Saint Kabir - "Maati Kahe Kumhar Se"
Kabir very casually speaks about death, a door step to the Beloved. He say’s we are all newly wedded brides, our life is a preparation for honeymoon night. The secret of this union can only be tasted and be spoken about after death, not in this life. "Too Kyaa Raundey Mohey! Aik Din Aisaa Aaiga, Main Raundoongi Tohey!!" Earthen mix admonishes the Potter, "How you are mixing me now, wait till the day come, I will mix you well in me at the end of your life!!" Maati Ka Shareer, Maati Ka Bartaan Nekki Kar, Bhalaa Kar; Har Bartaan Main Paap Punya Aur Sirr Pey Ley. Body made of clay, vessel made of clay. So earn good, do good; Each vessel carry vice and virtues within, celebrate all by taking upon your head. Bhalaa Hua Meri Mataki Phooti Rey, Main To Paania Bharan Se Chchooti Rey! Ah sweet delight! Now my clay jar has shattered, Finally I am free from this water filling business! Burraa Jo Deykhann Main Chaala, Burraa Na Miliyaa Koey, Jo Dil Khojja Aapana, Mujhasa Burraa Na Koey! I went in search of faulty ones, no one my search found, The moment I looked at my own heart, none is more faulty than me. Yeh to Ghaar Hai Prem Kaa, Khallaa Ka Ghaar Naay, Sees Uttaarey Bhuheen Dharey, Taab Baithey Ghaar Maay! Beware! This is the abode of Pure Love, Nothing to do with name and forms, Enter here humbled with your head bowed, Only then you may take your seat here. Hamman Hain Ishq Mastaana, Hamman Ko Hoshiyari Kya, Raheyn Aazad Yaa Jaagasey, Hamman Duniyan Se Yaaree Kya! I'm the love intoxicated one, what am I to do with being sober? I'm released from every bond, What am I to do with friendship with the world? Kahanna Thaa So Kaah Diyaa, Aab Kuchch Kaaha Naa Jaaye, Aik Gayaa So Bahh Rahaa, Dariya Lahher Sammaey! I’ve said all that is ever to be said, now I don’t even have words to say! The one who has gone, is now going forever, River merging into Ocean. Laalee Merrey Laal Kee, Jitta Dekhoon Titt Laal, Laalee Dekhaan Main Gayi, Main Bhee Ho Gayee Laal! Crimson is the color of my beloved, whosesoever I turn I see the same When I went to see my beloved, I’ve also dyed myself into that! Haanss Haanss Kunth Naa Payaa, Jinn Paaya Tin Royaa, Jinn Paaya, Mauula Paaya, Allaah Paaya, Haanss Haanss Kunth Naa Payaa, Jinn Paaya Tin Royaa, Haanssi Kheli Piyaa Miley, Kaun Suhaagan Hoey! Accompanied with ease – none have found the secret of heart, Those who have found - weep in ecstasy! They have found the Master, they have reached God. After union with beloved, lo! where remains the lover? Jako rakhe Saaeeyan, Mar sake na koy. Baal na baanka kar sake, Jo jag vairi hoy. The one who's Protector is God, no one can kill him. Not a single hair can be touched, Even if the whole world were to be his enemy. Prem Naa Baati Uupajey, Prem Naa Haath Bikaaey, Raaja Parrajaa Hee Hojey, Seess Diyey lei Jaaye! Burning candle or incense will not get you His Love, Love is not a subject of trade. King or beggar who so ever you may be, Pawn your head and take it! Kabiraa Bhaatee Kallaal Ki, Bahhutak Baitthey Aaye, Sirr Saunppey Soyyee Piyyey, Naahi To Piyyaa Naa Jaaye! Kabir says this world is like a wine shop, many have come and gone. Those who bargained their head could only drink here, The rest left without having a single sip! Dukkhiyaa Saab Sansaar Haai, Khaaye Aaur Soye, Sukkhiyaa Daas Kabeer Haai, Jaage Aaur Roaye! Unhappy are all in this world, all they do is eat and sleep, Happy is the servant Kabir, yet he awakes (awaiting his beloved) and weeps (in grief of separation). Jo Kachchu Kiyaa Woh Tum Kiyaa, Main Kachchu Kiyaa Naay, Kahhon Kahheen Jo Main Kiya, Tum Hee They Mujjh Maai! Whatever is done, done by You; I’ve done nothing. If I say I did it, its only You Who is saying in me. Cousin Performer-Songwriter Tamara Deems and Guitarist Wendell Porterfield - "A Pair of Dice"
A Sister of the Self-Realization Fellowship Monastic Order conducted a beautiful Memorial Service for Rosamund Bunting on July 24, 2011 at the Self-Realization Fellowship Hollywood Church of All Religions, which included Paramahansa Yogananda's ancient Astral Ascension Ceremony. We send love and light to you, dear friend. The Sikh Sohila Prayer was recited by a dear long-time devotee-friend of Rosamund's during her transition from her mortal form into the beautiful astral heavens. Rosamund Bunting had Season Tickets to the Los Angeles Master Chorale when Paul Salamunovich was its Conductor. She attended the world premieres of "Lux Aeterna" and "Ave Maria", and was deeply moved by them. 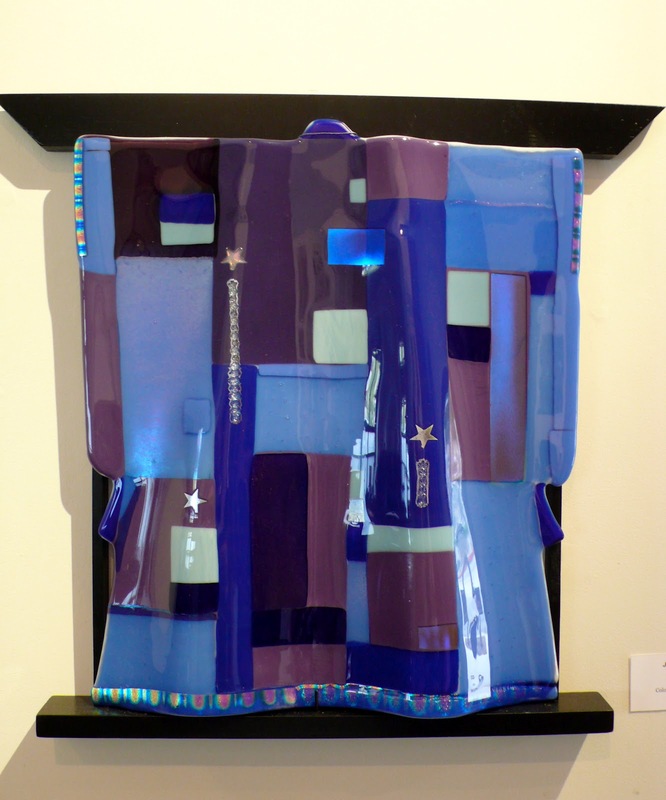 Julie Nagesh, a good friend of Rosamund's, was inspired to create this Kilnformed Glass Sculpture while listening to the beautiful "Lux Aeterna" composition. An inspirational thought for each day from the Spiritual Diary published by Yogoda Satsanga Society of India. Paramahansa Yogananda - An unofficial Yogananda resource centre with information about the science of Kriya Yoga, meditation and the life of Paramahansa Yogananda. Cristina & Billy Baretta of Storeyville Productions and Producers of "The Power of Upper Cervical"
CopyrightSharifah C. Rosso, July 12, 2011. All rights reserved. Powered by Blogger.